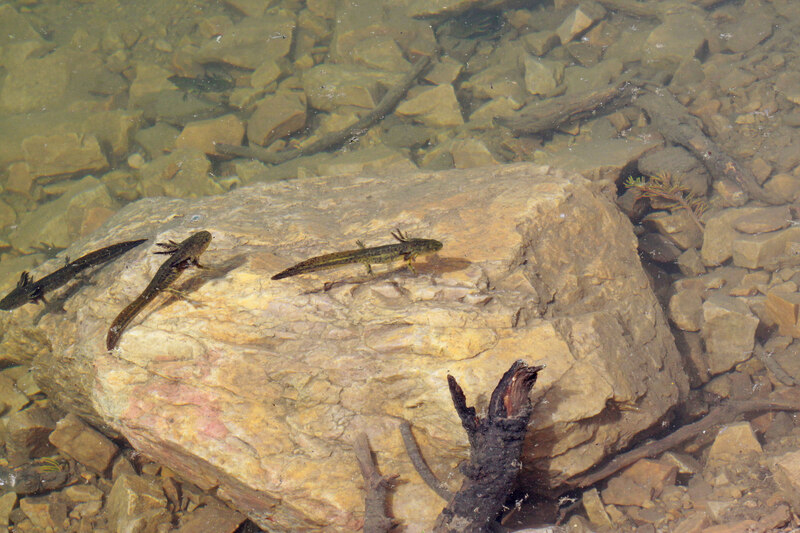 Tiger Salamanders, named for their bold black-and-orange stripes, are Utah’s only salamander. Secretive inhabitants of our forests, streams, and lakes, these amphibians are rarely seen. Tiger Salamanders spend most of their year underground, in moist burrows beneath logs and among tree roots. They come to the surface just once a year, emerging at night in the early spring to trek across the snow to newly-thawed wetlands. Many people see Tiger Salamanders only when one accidentally falls into their window well. About 6 inches long, with a 6-inch tail, they are often mistaken for lizards even though they are more closely related to frogs. This is more obvious when you look at a salamander’s aquatic larvae, which hatch from tiny, shell-less eggs that resemble caviar. At first, they sport gills and have only tiny limbs. Usually, they metamorphose after about 2 ½ months, transforming into boldly-barred adults. 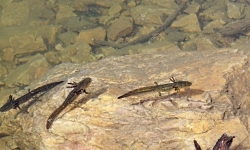 Occasionally, if wetland conditions are safe, they can mature in their natal pond, becoming juvenile-like adults called paedomorphs, which can breed but resemble gigantic larvae. Tiger Salamanders select very particular wetlands. They particularly look for bodies of water that don’t have any large, predatory fishes that would eat their eggs. 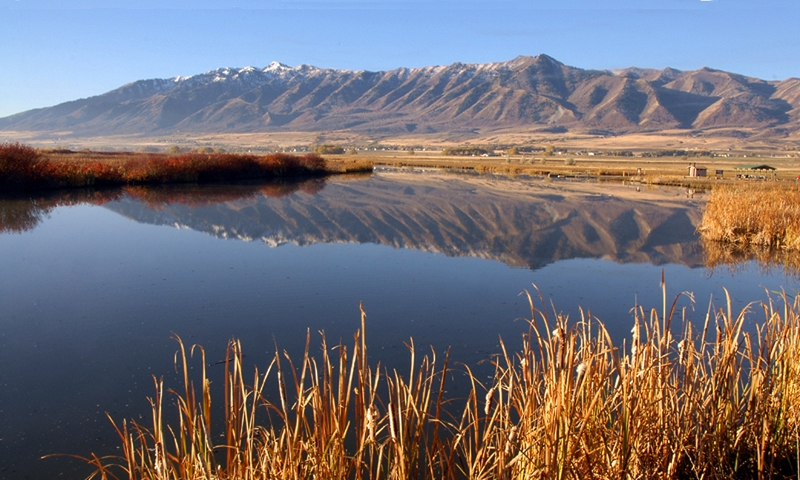 Well-known examples of breeding sites in Utah include Lake Solitude in Big Cottonwood Canyon, Tony Grove Lake in Logan Canyon, and the aptly-named Salamander Lake in Stewart Canyon on the northeast slope of Mt. Timpanogos. 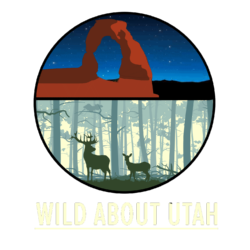 For Wild About Utah, I’m Andrew Durso. Images: Courtesy Andrey Zharkikh, Photographer, licensed under CreativeCommons 2.0. AmphibiaWeb: Information on amphibian biology and conservation. Ambystoma tigrinum. 2016. Berkeley, California: AmphibiaWeb. Available: http://amphibiaweb.org/. (Accessed: Feb 15, 2016).